Tuoro sul Trasimeno is composed of various little villages and hamlets. Its population is about 3,800 people. This residential town has an interesting history as it was on its fields that the Battle of Trasimeno took place twenty three centuries ago. By car or on foot the area is well signposted for visitors to read up on all the details of this bloody attack on the Roman troops by the Carthaginians. Tuoro’s tourist office offers information about the permanent exhibition. One of the bloodiest battles of the Roman epoch was the second Punic War which took place when the Carthaginian leader Hannibal famously pretended to be far away from the area by lighting torches far from the battle site. However, his army of 50,000 men, 9,000 horses and 37 elephants surprised the Romans in the morning giving them no time to prepare for battle. About 15,000 Romans were killed in this ambush. The blood that was shed in the river neearby gave it the name Sanguinetto (the bloody). 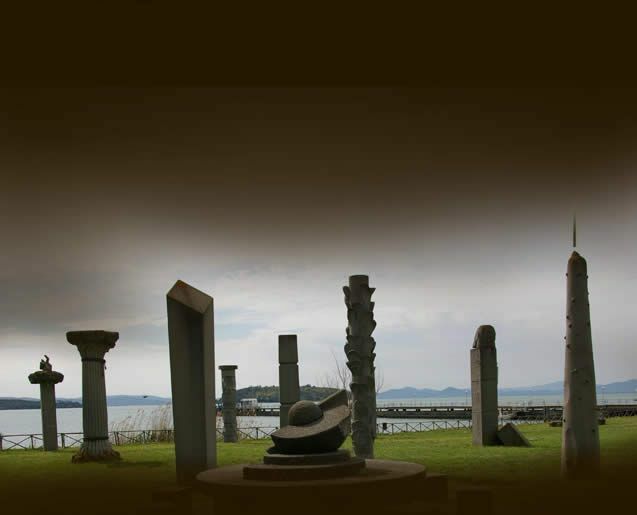 A wondrous sight to see is the Field of the Sun where there are 27 contemporary sand sculptures located close to Loc. 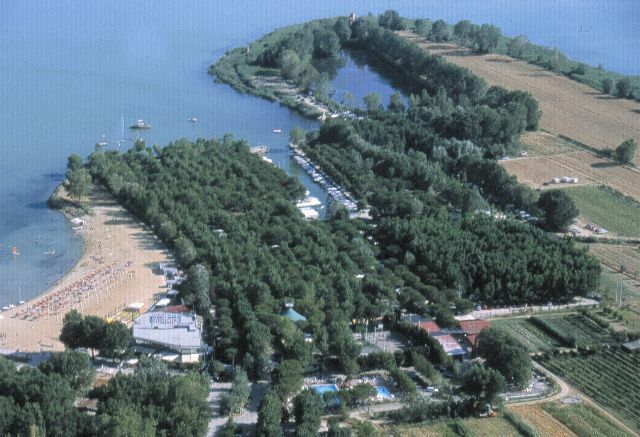 Navaccia Lido near the lake´s banks. These were created by renowned sculptors for a rather different exhibition.